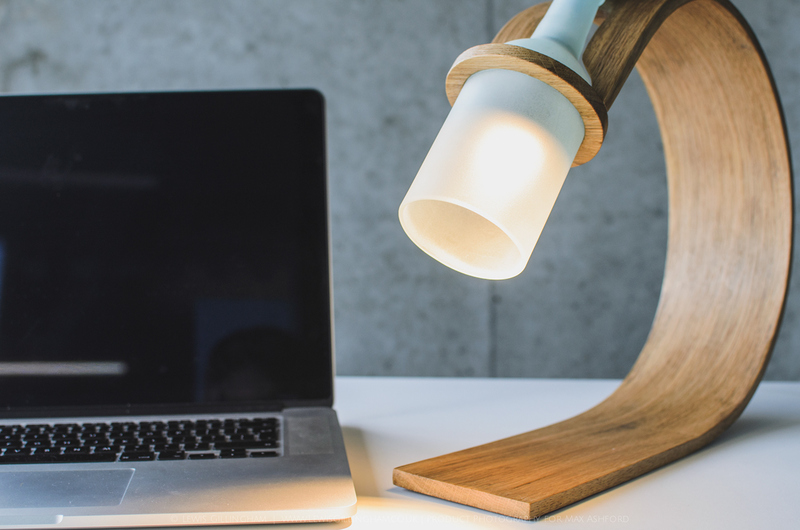 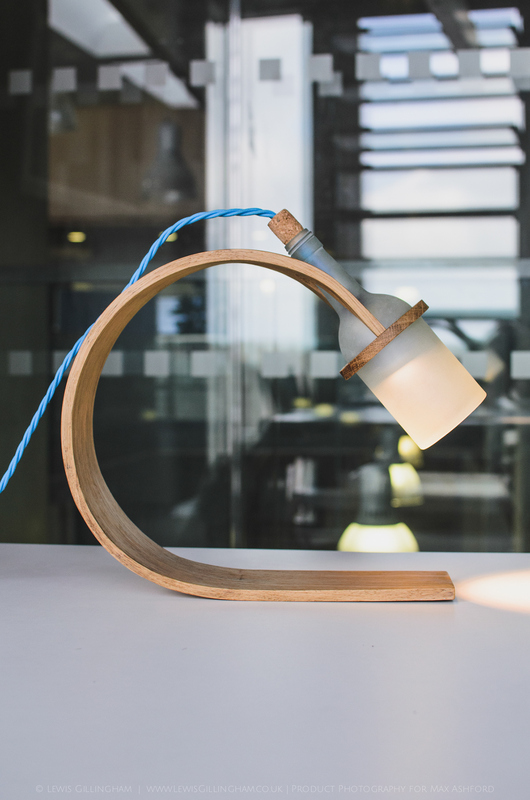 Quercus is designed to be a sustainable stylish and functional desk lamp for the young professional. 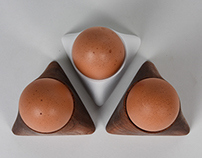 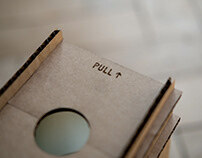 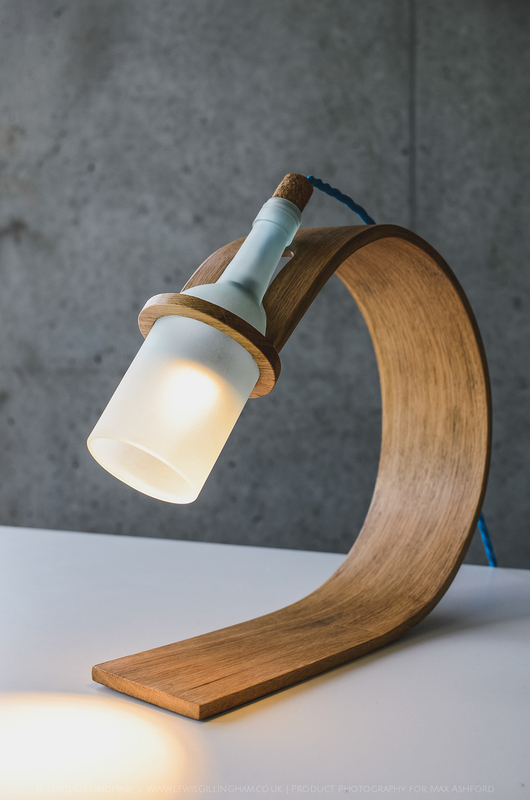 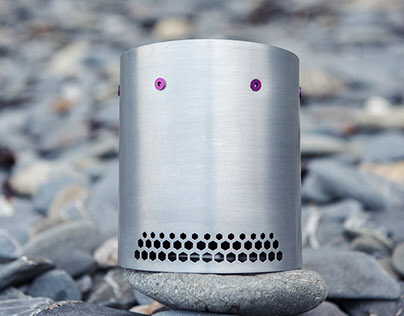 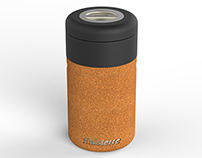 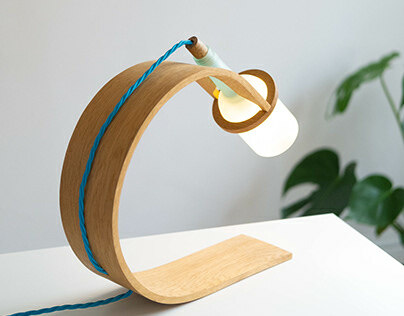 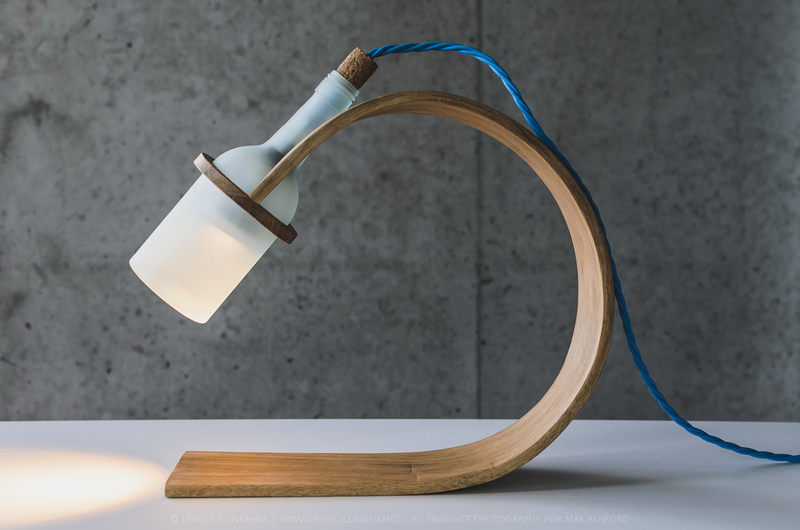 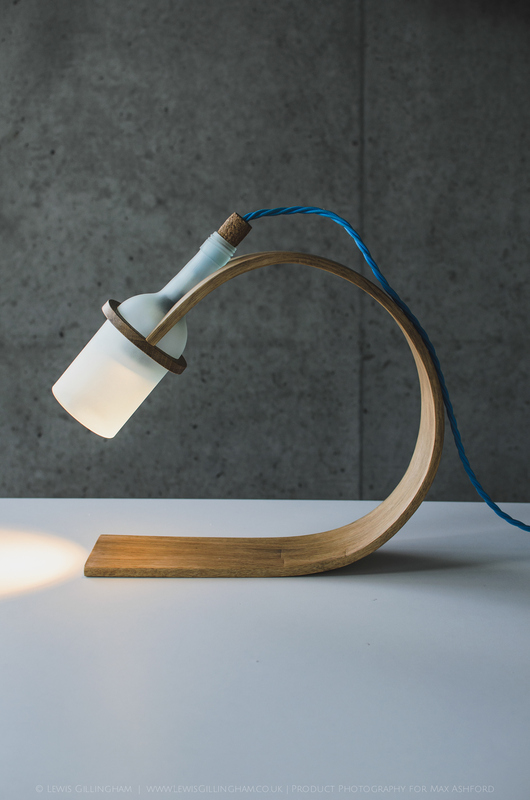 The lamp is made using sustainable techniques and materials. 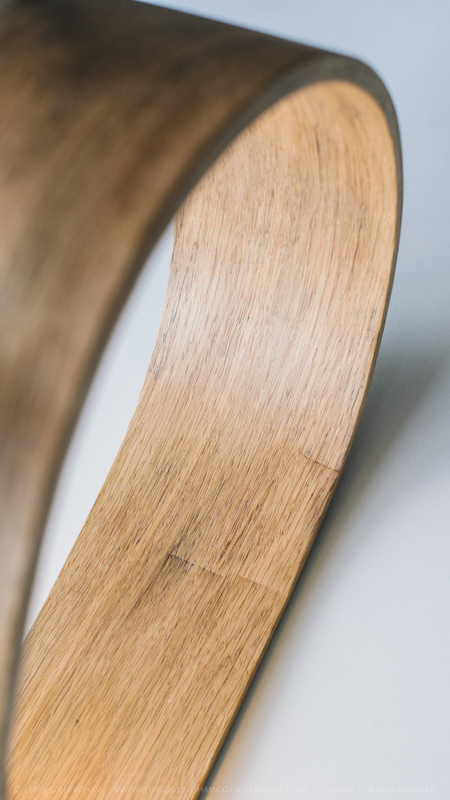 The wood is reclaimed off-cuts of seasoned white oak sourced locally (within 10 miles), that would of otherwise been burnt or sold as firewood, this is steam bent into the tight curve, using only water over a damaging, high embodied energy method like laminating. 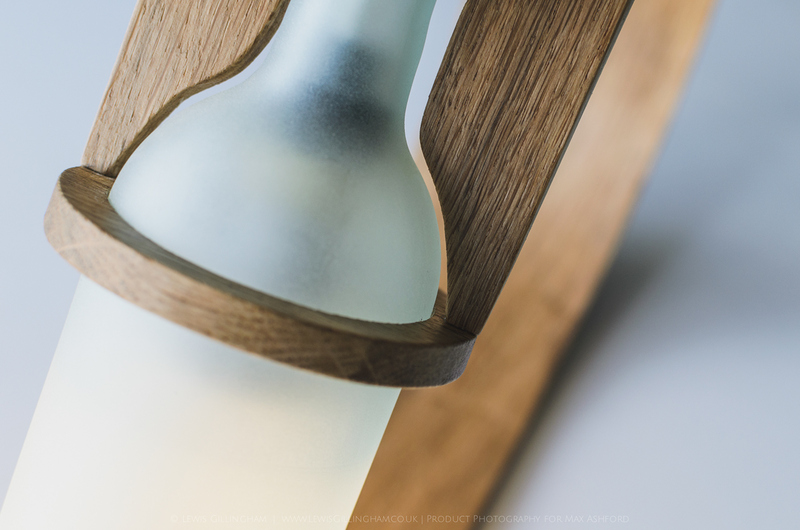 The lamp shade is a up-cycled wine bottle that I cut in half and frosted as to emit a warm soft light. 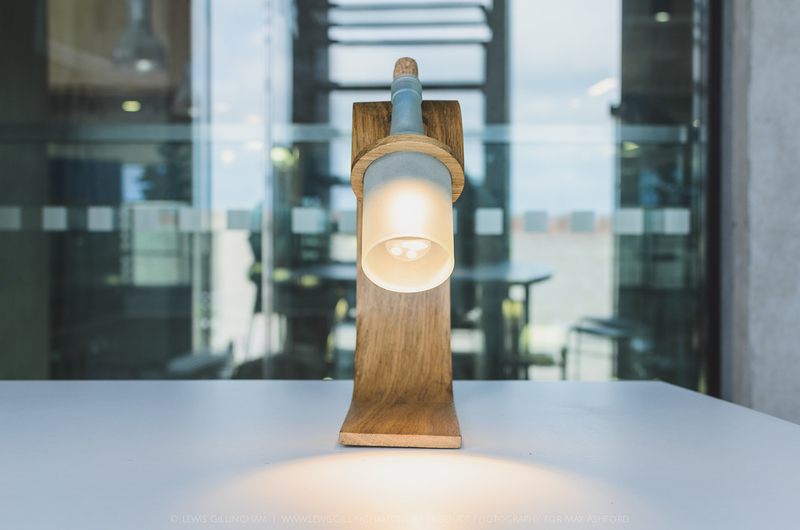 The bulb is a low power LED GU10. 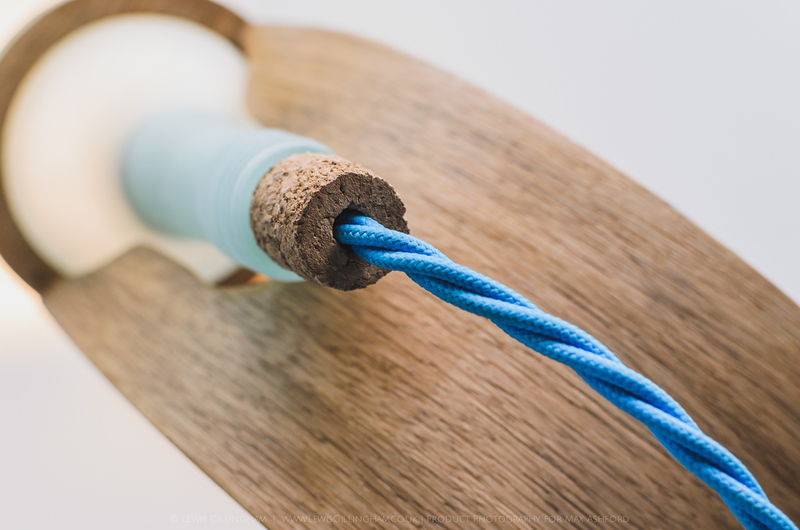 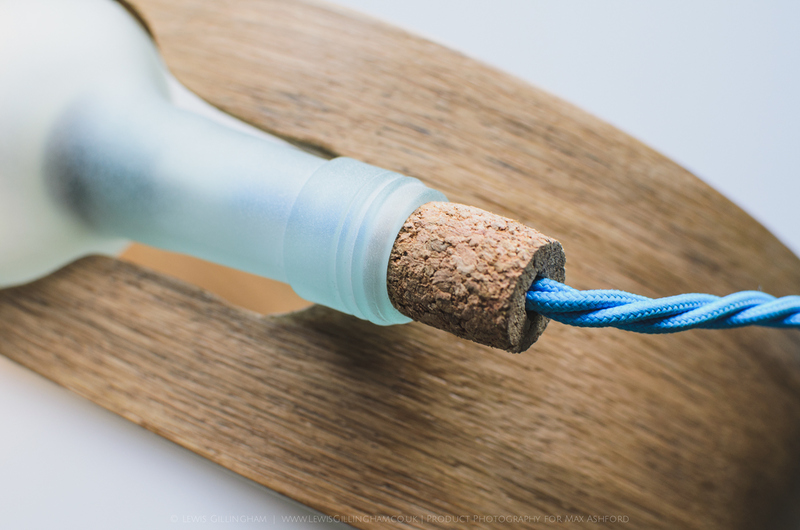 The only bonding material is a very small amount of glue bonding the oak curve and the oak mounting ring, all other materials can be separated, the glass, the electronics, the cable making the life cycle of the product sustainable.